Daniel Negreanu is one of the most successful poker players of all time, who managed to earn dozens of rewards in this game. Furthermore, he is one of the most influential poker personalities at the moment, and his actions usually affect the actions of his fans and other poker players. One of his most recent decision was to include more small buy-in events in 2019 WSOP. Negreanu managed to put his schedule on paper as the WSOP is about to begin on May 29. Furthermore, he communicates with his fans via social media and even has a vlog on his YouTube channel where he let everyone know about his plans and his game. His plan to include small buy-in events came as a bit of a surprise for his fans as Negreanu is known for playing only high roller events lately. 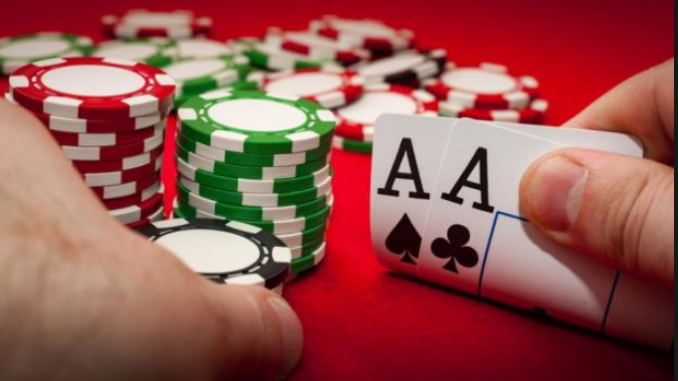 Typically, this poker player fills his World Series of Poker schedule with various events that may vary when it comes to the buy-in amount, but they are still considered expensive by the majority of poker players. For example, Negreanu participates in events that require $10,000, $50,000 or even a $1 million buy-in. These fields are much smaller compared to fields of small buy-in events, simply due to the fact that people do not have that kind of money or do not want to risk it by playing high-roller events. Negreanu stated for the DAT Poker Podcast that he wanted to play more small buy-in events since they will affect the overall Player of the Year score. Playing high-roller events means no tough competition as playing against the field of 10 entrants is much easier than playing against the field of several thousand players. Therefore, smaller buy-in events will now bring more points for the POY list which means that players who do well in these will earn more points on average compared to doing well in high-roller events. Negreanu said that he was actually considering doing what he had never done before the WSOP, which was giving a try to all those small events. He added that it had become pretty impossible to win the POY title if he only took part in big events. This poker legend has always loved to bet and even suggested a prop bet – that he would cash out 15 times in the events to come. He wanted to make a $5 million bet and said that he was confident that he will manage to achieve this despite the fact that his schedule consists of many small buy-in events. On the other hand, Negreanu is certain that the competition is much weaker in events with small buy-in and that he will be able to do well in them as well, as he is used to playing only against the best of the best in the high-roller events. WSOP Europe Main Event 2018 – Jack Sinclair Wins!